It was Sharing Day in Little B’s school which meant that children would bring homemade snacks and would share it with their friends. A school activity like that meant only one thing – this mama gotta bake. A lot of things crossed my mind – sandwich, brownie, pasta – before my brainstorming led me to cookies! There isn’t a child who wouldn’t love them! 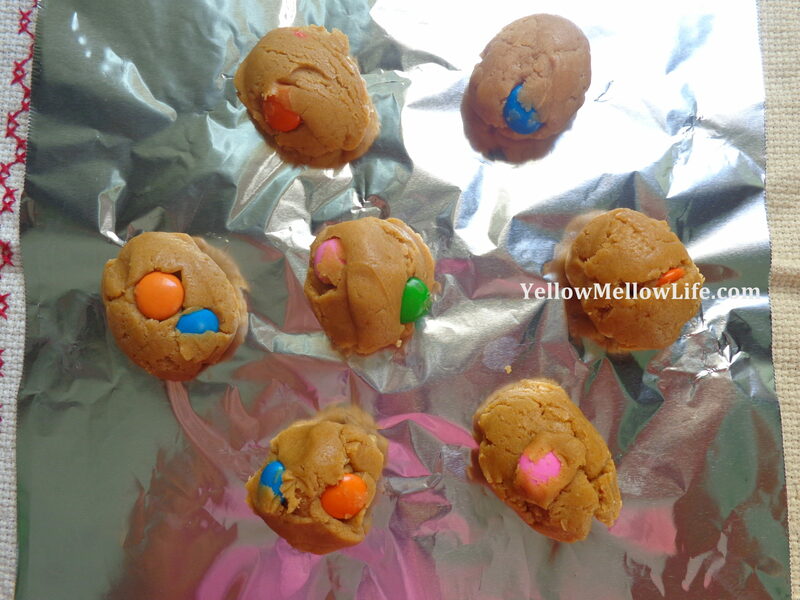 I was making these for toddlers so a sweet treat within cookies like M&M’s or chocolate chips is a must. 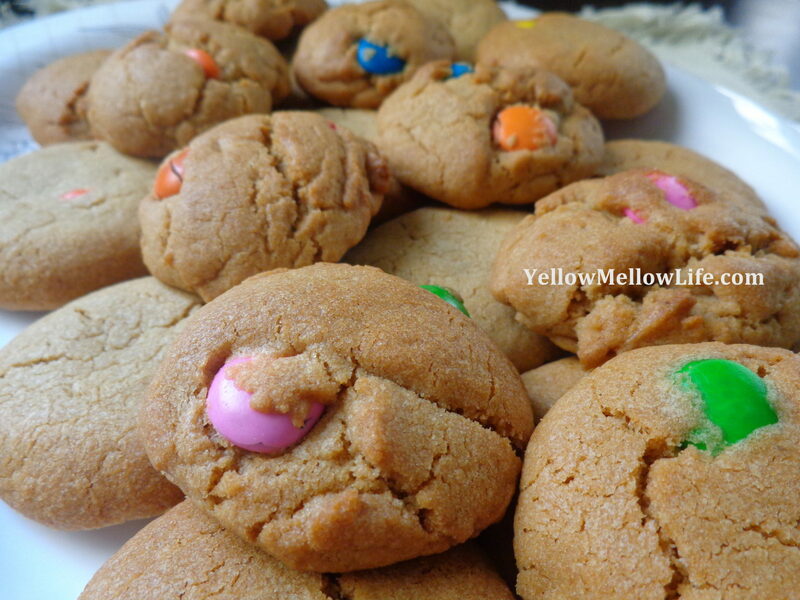 This particular recipe is actually a basic cookie recipe. 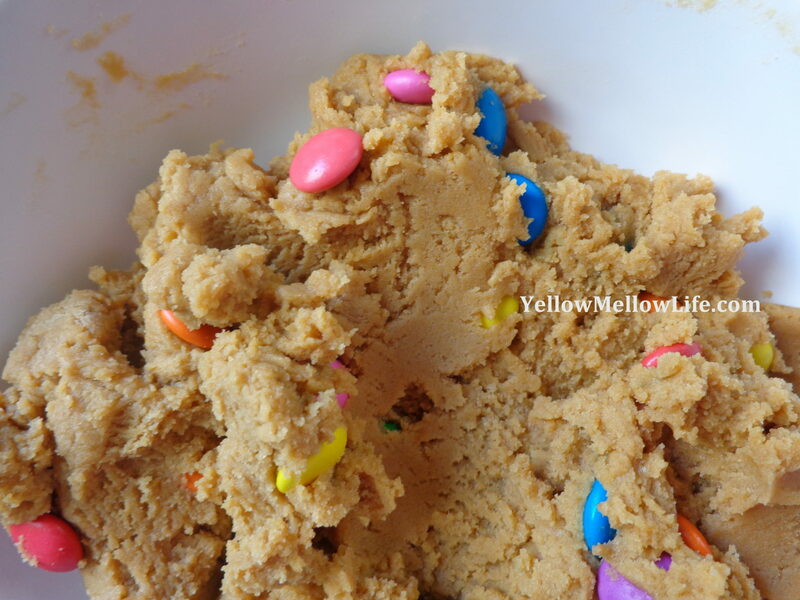 You can add to it whatever your child likes – chocolate chips, nuts, raisins and yes M&M’s as well. Preheat oven to 375 degrees F (or 190 degrees C). 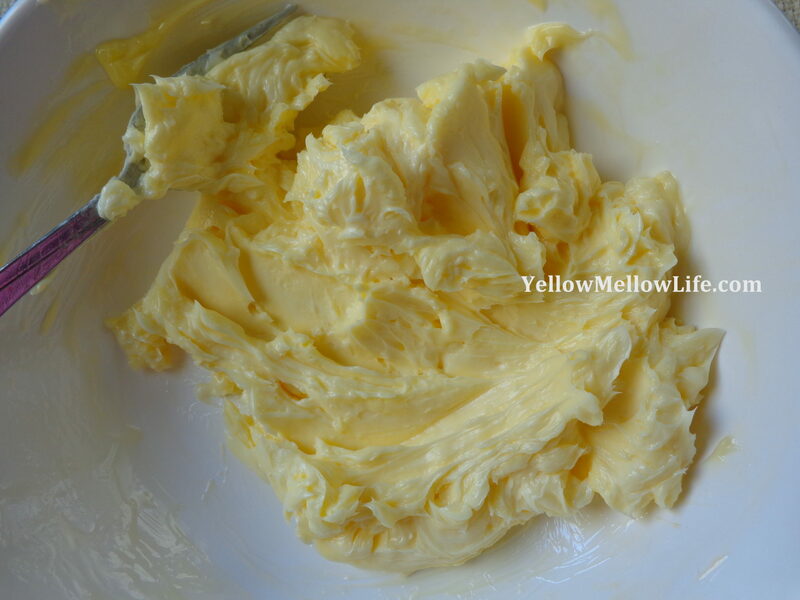 Whisk butter to make it a little creamy. Add in both sugar, eggs and vanilla extract and combine everything well. 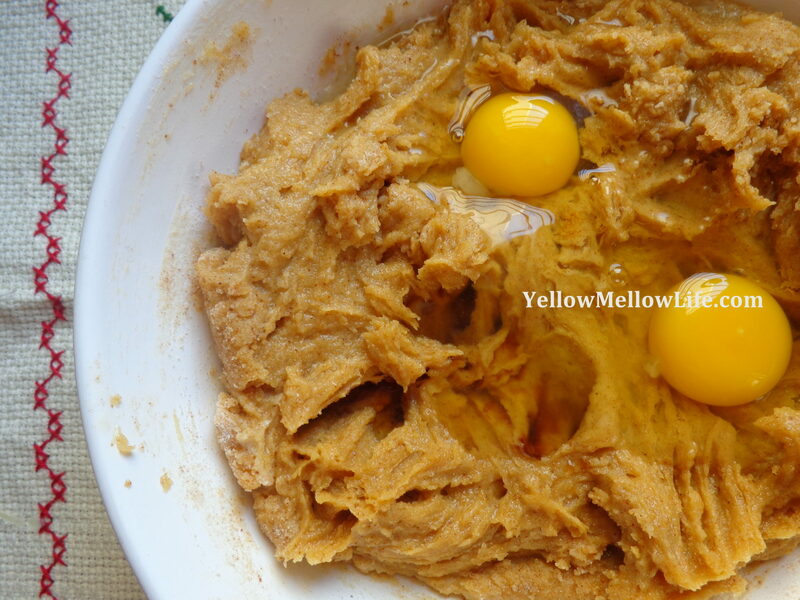 Add in flour, baking soda and salt and mix so that everything is well incorporated, Avoid over mixing. 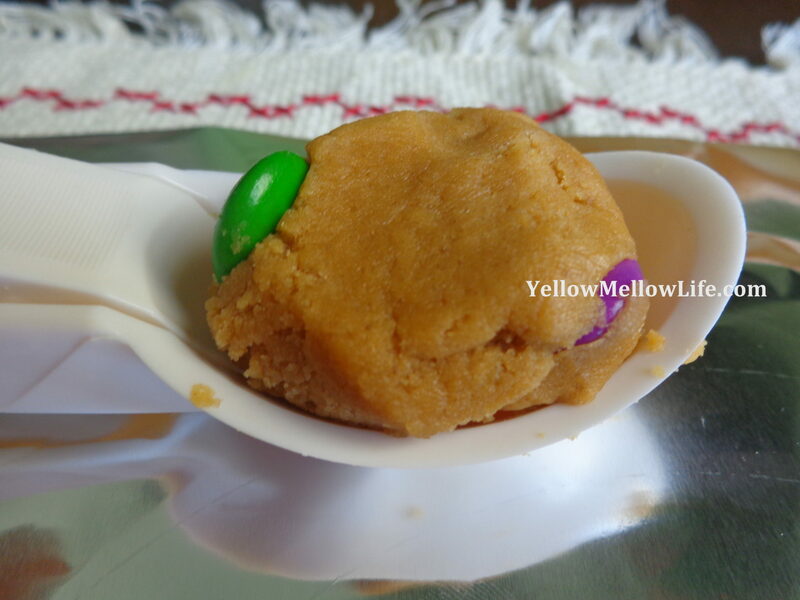 Add in the M&M’s (or Cadbury Gems) and distribute them evenly throughout the batter. 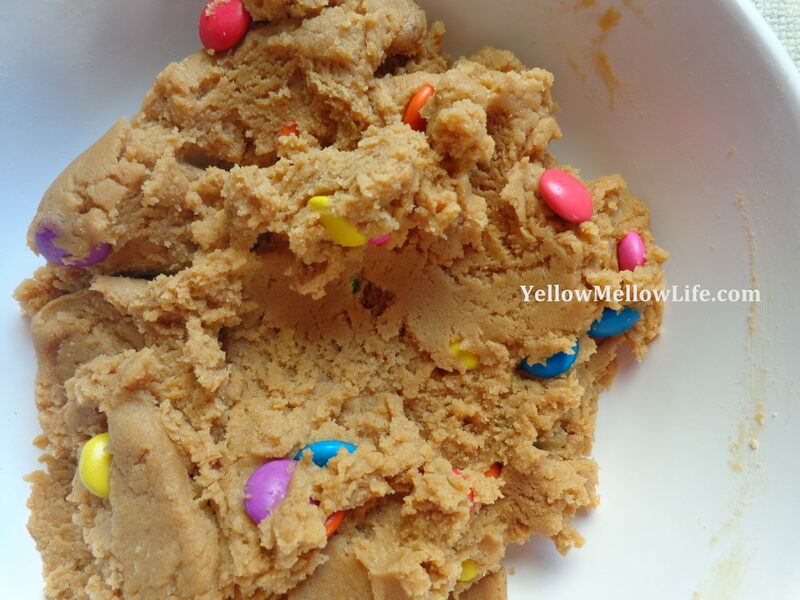 Scoop up a little cookie dough using an ice cream scoop. If you are comfortable working with your hands, you can also make small round balls. 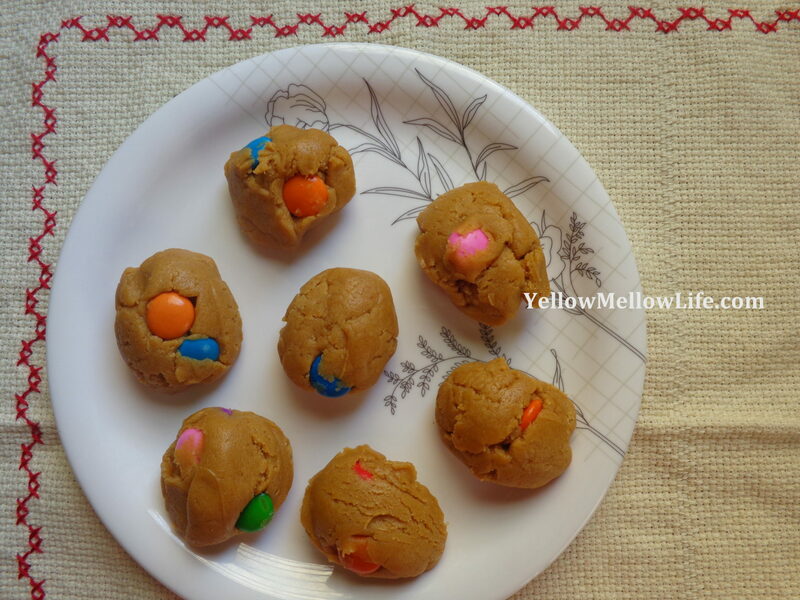 Line up the cookie dough balls on a parchment paper or aluminum foil lined baking sheet. Bake for 10 minutes. 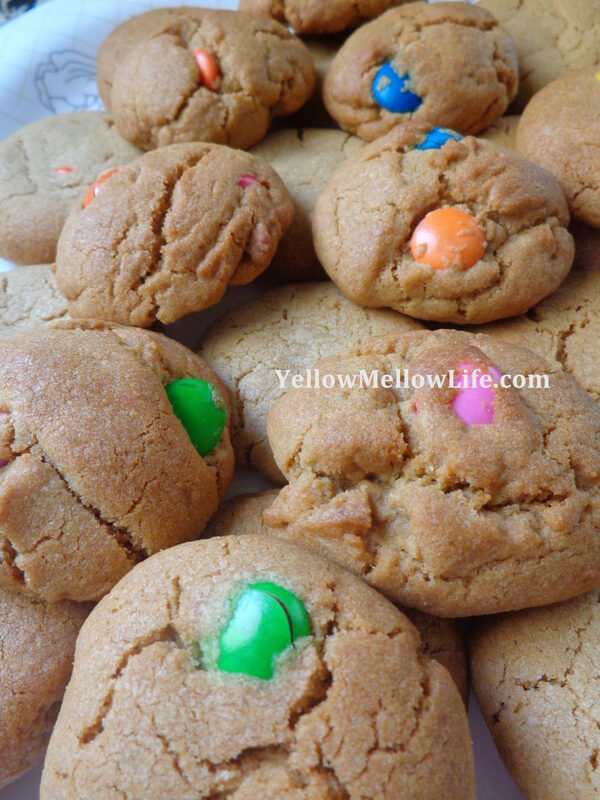 The cookies would have got a golden brown hue around their edges by now. 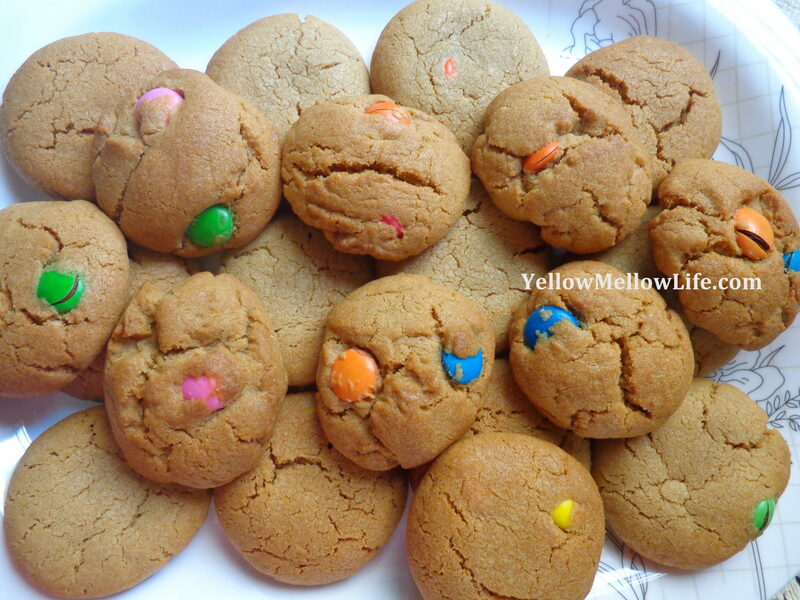 Take the cookies out from the oven and cool for 5 minutes on the same baking sheet completely. Remove from the baking sheet and cool completely on a cooling rack.